The news that FAO Schwartz is closing its Fifth Avenue flagship at the end of July got us reminiscing about other classic kid experiences in NYC. Read on for our favorites, and the new alternatives to try now. CLASSIC: FAO Schwarz. Today more of a tourist attraction than a retail destination, FAO Schwarz is on our first-timer itinerary for the photo-ops with the giant stuffed animals and life-size piano made famous by Tom Hanks in Big. CURRENT: Lego Store. Opened in October last year, this Lego flagship occupies mini sightseers with NYC-inspired Lego murals, a lounge with sofas and games, and a Jelly Bean–style Lego wall to pick and mix your pieces. Pair with a pit stop for gelato or pizza at next door Eataly. CURRENT: Jane’s Carousel, Dumbo. A twirl on Jane’s Carousel is a new classic for its dreamboat location in a Jean Nouvel–designed glass building on the banks of the East River overlooking the Brooklyn Bridge and Manhattan skyline. Go at sunset then grab dinner at Shake Shack, Grimaldi’s or Gran Electrica. CLASSIC: Central Park carousel. Operational from April to November, this classic merry-go-round has been a park fixture since 1871 and is handy mid-park stop between boat rides on the lake farther north and a turn through the zoo at the 59th street entrance. CURRENT: Governors Island ferry. Open from Memorial Day to Labor Day, Governors Island feels like escaping to the ‘burbs, with untouched officers houses (now serving as temporary art galleries) and seasonal events from swing dance competitions to food truck rallies. CLASSIC: Ellis Island ferry. The chance to see Lady Liberty up close, plus a unique perspective of the cityscape from the Hudson River. CLASSIC: Empire State Building. The ubiquitous lines move quickly and the views from the top are snow globe New York. Be sure to go to the highest viewing platform, and while the downtown view is the scene stealer, don’t miss the uptown vistas and a chance to appreciate the scale of Central Park. CURRENT: One World Observatory. Tickets are on sale now for the May 29 opening One World building viewing platform. On floors 100 - 102, visitors will have 360-degree views of the five boroughs, plus access to three restaurants, a gift shop and a series of interactive features. CURRENT: Tea at the Crosby Street Hotel. 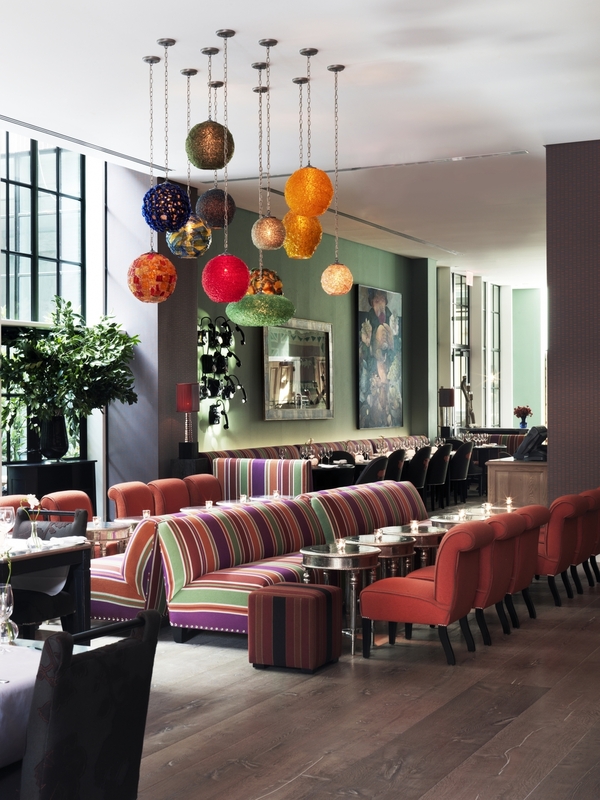 Leave it to Brit hoteliers Firmdale to nail the Afternoon Tea reboot at their downtown Crosby Street hotel. Served all day in the Crosby bar or on the sunny terrace in summer, the platters include favorites like scones and egg salad sandwiches. CLASSIC: Tea at the Plaza. Served in the Plaza hotel’s iconic Palm Court from noon to five p.m. daily, high tea here is a perfect excuse for getting suited and booted, and especially fun on mom-and-daughter trips. CURRENT: Shopping in Meatpacking. Hit the boutique-lined blocks on Washington, 13th and 14th Streets, and don’t miss DVF, Scoop (all three stores) All Saints, Earnest Sewn and Warby Parker. For pre-shopping fuel, book a table at the Standard Grill (better for atmosphere than eats) or Bubby’s. CLASSIC: Shopping on Fifth Avenue. From 50th to 60th streets, this patch of Fifth Ave is movie set New York, with such retail icons as Saks Fifth Avenue, Tiffany & Co, Bergdorf Goodman and, if you have teens in tow, Abercrombie & Fitch and a giant Sephora. CURRENT: The Whitney. Four years in the making, the new downtown Whitney Museum unveiled its 50,000-square-foot Renzo Piano–designed space between the High Line and the Hudson River. Launch exhibits include America Is Hard to See from the Whitney’s collection and a site-specific installation by Mary Heilmann. CLASSIC: The Met. Always opt for one of the Met’s fantastic audio guides, many of which are geared for families and divided by age group. In the summer months, stop for a drink and snack on the rooftop overlooking Central Park, and, as with all top attractions, go early to avoid the worst of the crowds.